If you like golf, bowling, or motorcycling, then you might want to take part in one or all of the four events benefiting Make-A-Wish New Jersey this August. 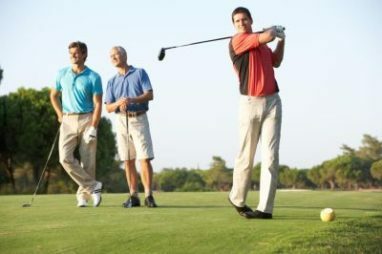 The Widow Sons of New Jersey Annual Motorcycle Run, the Cody Hoffman Memorial Bowl-A-Thon, the 29th Annual Tee Off For Kids Golf Outing, and the 7th Annual Golf For Wishes events are all sure to be a great time. Best of all, you can support a great cause all while doing something you love. Each year the Widow Sons of New Jersey hosts their Annual Motorcycle Run, with a portion of the proceeds going to Make-A-Wish New Jersey. This year’s event is Aug. 1 and it’s just $25 per rider and $15 per passenger to participate. You’ll enjoy a scenic ride from Barb’s Harley Davidson (926 Blackhorse Pike) in Mount Ephraim to Pic A Lilli in Shamong. Please contact Mike Bencivengo for more information about this great event. If bowling is more your idea of fun, come to the Cody Hoffman Memorial Bowl-A-Thon, taking place at Linden Lanes (741 North Stiles Street) in Linden. Admission is $60, and includes refreshments, two hours of bowling and shoes for six people per lane. On top of having fun you’ll feel great knowing that all of the net proceeds from the event benefit Make-A-Wish New Jersey. Please contact Michael Cumberton for more information about the Bowl-A-Thon. Those who love to golf can choose from two different Make-A-Wish golf events on Aug. 10. The 29th Annual Tee Off For The Kids Golf Outing takes place at the North Jersey Country Club (594 Hamburg Turnpike) in Wayne. Registration will be done on a first come, first served basis, so be sure to get in line right away to claim your spot. Registration starts at 10:15 a.m., followed by the shotgun start at noon. After the golfing is over, stay for the barbeque lunch, as well as cocktails at 6 p.m. The evening will end with dinner and an awards presentation at 7 p.m. Since 1986, the Tee Off For Kids outing has raised more than $750,000, and you can help them continue to raise even more. Golfers can participate for $250 each, or as a foursome for $1,120. If you’d just like to come for dinner, tickets are $125 each. Please contact Craig Feinburg at 201-843-7700 for more information about Tee Off For Kids. The second golf outing on Aug. 10 is the 7th Annual Golf For Wishes event. Golf For Wishes takes place at the Little Mill Country Club (104 Bortons Road) in Marlton, with a shotgun start at noon. Since 2009, Golf For Wishes has raised more than $75,000, and you can be there this year to help them pass the milestone of $90,000 this year. Participation is $185 per person, or $700 for a foursome. You can also support the event by volunteering or becoming a sponsor. Please contact Bob Swartz for more information about the event, including volunteer and sponsorship opportunities. If you can’t attend any of these great events, you can help wishes come true with a vehicle donation to Wheels For Wishes benefiting Make-A-Wish New Jersey. Through Wheels For Wishes, you can turn an unwanted car, truck, boat, RV or motorcycle into wishes for kids in your New Jersey community! We offer free pick-up and towing, and you receive the maximum possible tax deduction in return. To make a car donation, please call 1-877-431-9474 or complete our car donation form online. Car donation is a great way to give back to your community this August, and Wheels For Wishes makes it easy!